Germans are well known for their love of simulation games, but not even they have spared too many man hours developing cycling sims. 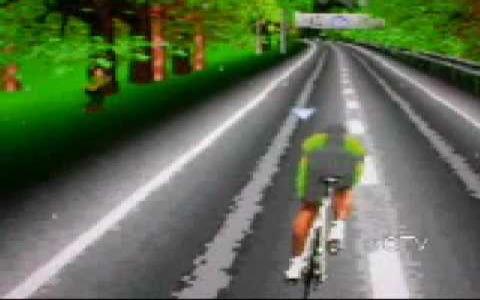 However, if that is the kind of game you crave, you are in luck; Super Tour 3 is a feature rich cycling manager game. It takes you on a managerial journey and simulation that will see you managing a single rider, a team of riders from across the globe. France, Italian, Spanish, you name it, if the country is known for their cycling teams, it is bound to be in the game. The levels at which you get to decide the outcome of a tour are diverse: you get to be involved in close range tactical and strategic makeup for each individual portion of the tour, you get to chose which riders will be in your team, by purchasing, selling, scouting, etc. Depending on your team, you can be staked to win a loop or to be amongst the runners up. With good graphics and a nice 3D engine, along with a good host of managerial screens to choose your options, Super Tour 3 is a good game, in a genre that is very unpopular it seems. So if you always wanted to get involved in the background activities that lead to success in biking, Super Tour 3 is the game to do it in.